Full disclosure: when this ramen spot opened up two blocks away from my house it got me pretty jazzed. After all, winter has finally arrived, and each day is colder than the last, so what's better than hot soup? That's where Samurai Papa comes in. Samurai Papa is sister restaurant to Bozu, Momo Sushi Shack, Brooklyn Ball Factory, and Samurai Mama (surprise! ), continuing owner Makoto Suzuki's grand scheme of supplying the neighborhood with all our Japanese culinary desires. 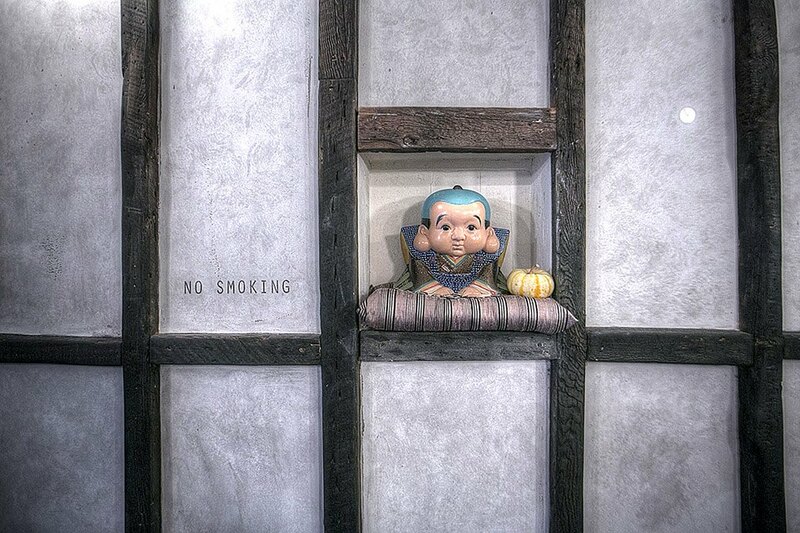 Located at 32 Varet street, its placement is definitely the first thing that you are going to notice. The East Williamsburg/Bushwick area has pretty slim pickings when it comes to dining, and Samurai Papa is located on a commercially vacant block placing itself next door to the local bodega and across from the Food Bazaar mega-grocery. It's a strange nook to be in, but it's certainly welcome. 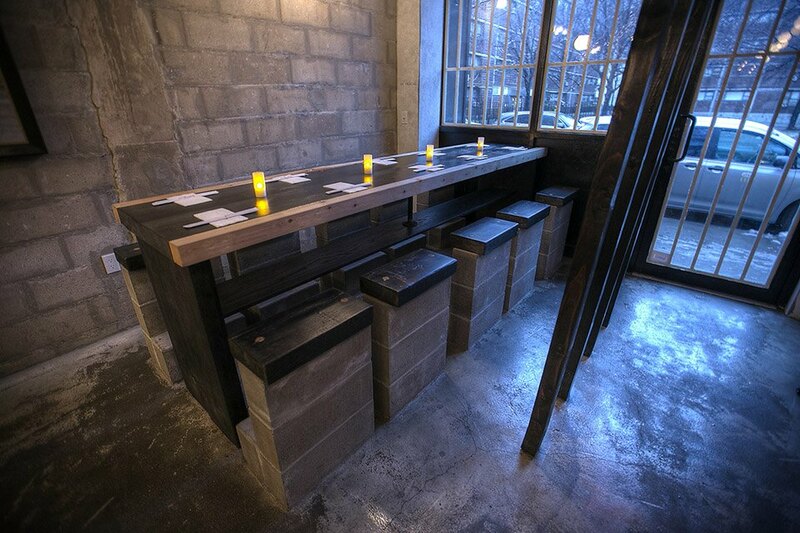 'Papa took full advantage of the long, concrete vacancy and created a decor that melds utility with Japanese stylings. You'll notice the familiar group seating of Suzuki's restuarants that will place you adjacent to a neighbor, new friend, or neighborhood cat lady. I personally tend towards being an introvert until a few rounds of sake sink in, but after that I'm looking for new friends so watch out! The cement block stools sprout out of the concrete floors creating a stoop for ya soup, and the dim lighting keeps you in a warm vibe. Cement block stools creating a stoop for yo' soup. In the back you'll find the well stocked sake bar and I strongly suggest trying a flight, at least on your first visit. 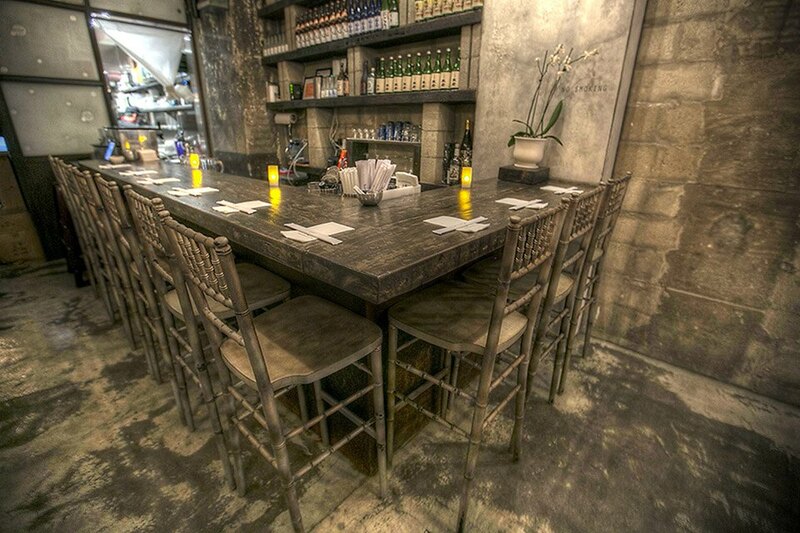 Their sake selection is serious business so pull up a seat and pour your friend a glass. If you feel like stepping up your boughie game you can ask about off-menu bottles as they have a few in rotation, so take a shot. Onto the food -- let's eat. While ramen is their staple, they do have a wide menu of gyoza, sushi, and apps that may be familiar to any Samurai Mama patrons. The ramen bowls accommodate both vegans and carnivores alike and vary in degree of spice. I personally like it hot, but each dish is accompanied by a number of additions that will allow each of us to hit our desired marks. The broth is flavorful but not overly rich. You can find a deeper umami flavor at nearby Suzume, but why leave the neighborhood when warmth is so close? The sushi shots are also delightful as they serve up high quality fish in a martini glass, because why not? 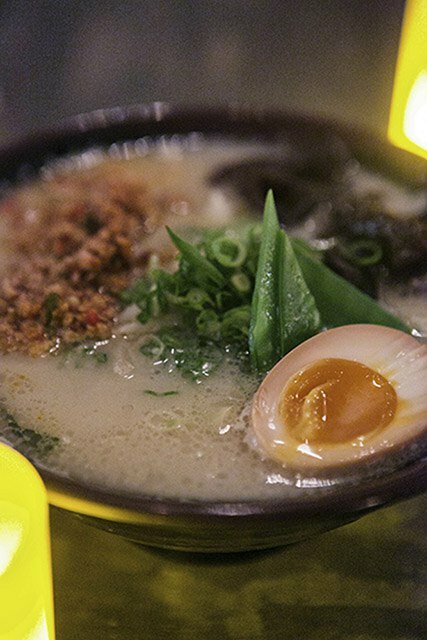 Nothing beats ramen on a cold winter day...this is the Shoyu Ramen, available for $9. 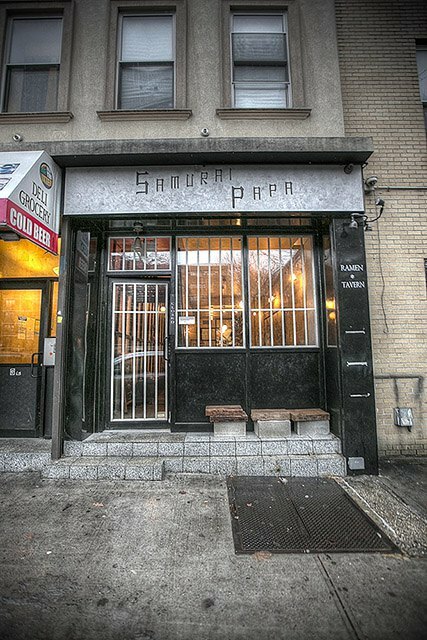 Overall Samurai Papa is an exciting edition to what is a mild food desert where Broadway connects South Williamsburg to Bushwick. At the end of the day, if you need some warm broth, a sushi shot, and some oak casked sake to keep you going, Samurai Papa is the best spot in the neighborhood. *Food was provided pro bono to Bushwick Daily by Samurai Papa for the purposes of this article. Samurai Papa is located at 32 Varet St. They're open from 5 PM to 11 PM seven days a week.